Windows 10 – Launch Date is 29 July and it will be Available soon on USB Drive for Retail and Purchase Versions. Windows 10 – You wish or not, Windows 10 Home Edition their software updates for Microsoft’s net operating system will be Mandatory. Windows 10 – Microsoft now planning to make significant change to it’s software update policy by ” Removing the Option to Disable software updates on Windows 10 Home Edition “. 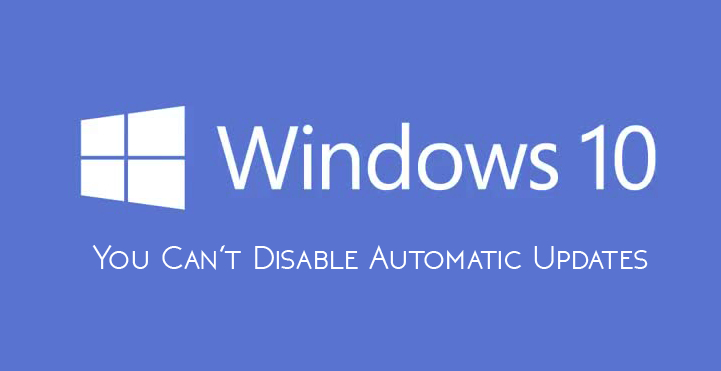 Windows 10 – This Now indicates for all Windows OS Users to be Agree with Microsoft to install software updates automatically. Every software program needs frequent updates, but the ability of Windows users to permanently delay Windows software updates has made it difficult for Microsoft to keep its OS platform secure and up-to-date. And the only motive behind this change is to maintain the security of its users safe. If this happens with the launch of Windows 10, it would be a notable change in any version of Windows OS as Microsoft has talked about Windows 10’s Windows-as-a-Service approach that will receive continuous updates.